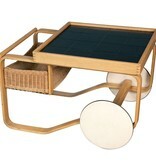 Tea Trolley 900 features a birch frame in natural lacquer with black ceramic tiles and rattan basket. 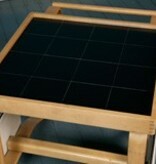 This particular tea trolley is from the late 50′s. Original white ceramic tiles were stamped with 1957 stamp on the bottom, but were broken and are now replaced with black tiles. 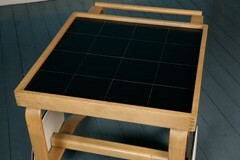 The tiles are original size and not the larger size used in currently manufactured version. 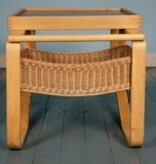 Alvar Aalto was a highly talented architect and an eager spokesman for the international modernist movement. 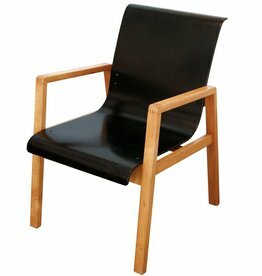 From city planning and architecture to interior design, furniture design and painting, Alvar Aalto was involved in design at every scale. 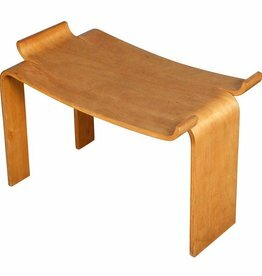 Aalto’s designs were innovative and radical and became known for his experimental approach to bending wood, which greatly influenced American designers Charles & Ray Eames and Finnish-born Eero Saarinen. 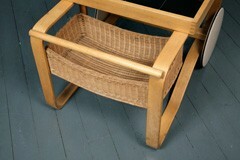 His style became known as humanist modernism. 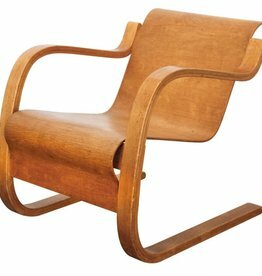 Alvar Aalto’s dialogue with nature, architecture, design and the human being has become a living legacy. 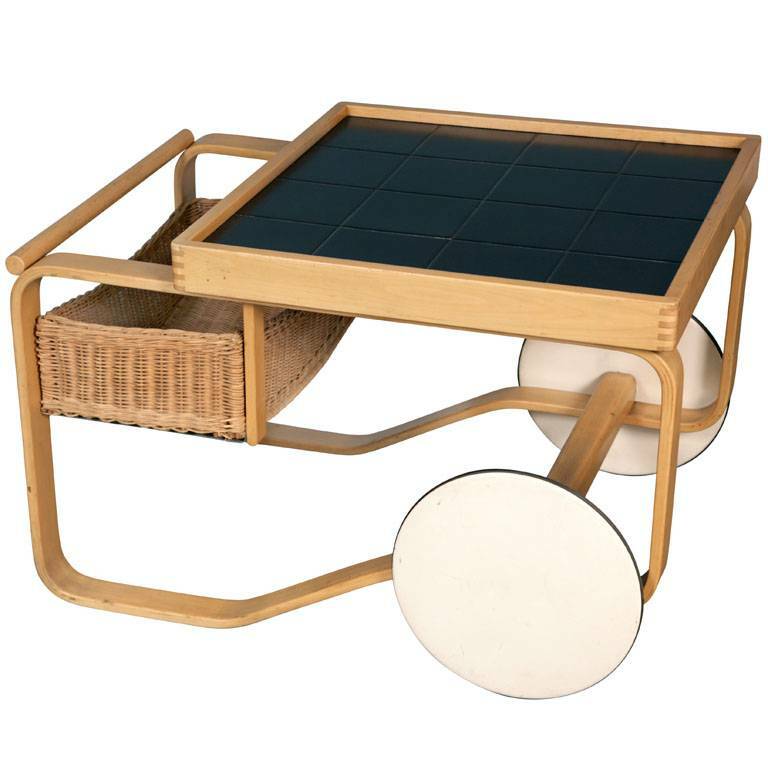 Tea Trolley 900, produced by Artek, features a birch frame in either natural lacquer or lacquered white with black or white ceramic tiles and rattan basket. For easy movement, these charming and highly functional pieces have large white wheels with black rubber tread that won’t mar floors. 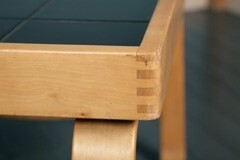 The handle and edge banding are solid birch. 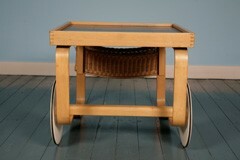 The Tea trolleys serve as highly functional and distinctive additions to a dining room or hospitality area. 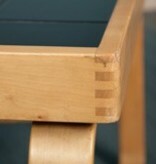 Introduced at the 1937 Paris World’s Fair, they are in the permanent collection of the Museum of Modern Art. 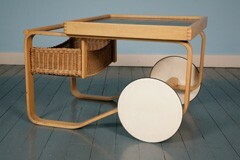 Bent birch plywood curved into loops creates the framework for Tea Trolley 900, exemplifying Aalto’s patented process. 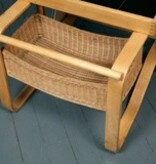 The frame is finished in either natural lacquer or lacquered white with black or white ceramic tiles and comes with a rattan basket. Oversized white wheels make the piece remarkbly easy to move around. 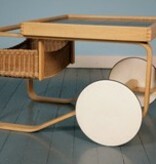 Tea Trolley 900 is an Aalto classic, and furthermore, highly practical. 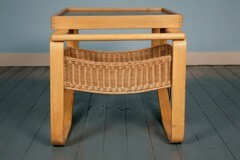 Seductive curves, strong but lightweight forms: Alvar Aalto’s revolutionary processes will long be viewed as modern. 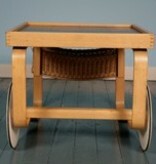 MATERIALS: Natural birch, white painted birch wheels, rubber edge, black ceramic tile.